The MLB All-Star week is traditionally one of the slowest weeks of the year in Daily Fantasy Sports. With MLB baseball off on the All-Star break and all of the other major sports leagues in their off season, there are not a lot of fantasy contests running until Friday, July 17th. DraftKings has set up a huge Baseball Free Roll to get the second half of the Baseball season off to a rousing start….. 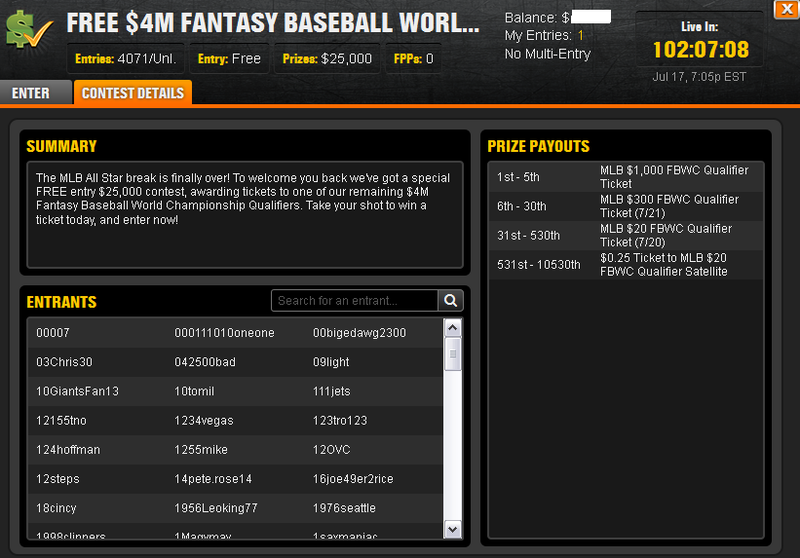 There will be a $25,000 MLB free roll starting at 7PM ET on Friday July 17th. This gives you all week to sign-up and get your entry in. This free roll will pay out 10,530 entries to DraftKings 2015 Fantasy $4 Million Dollar Baseball World Championship (FBWC). 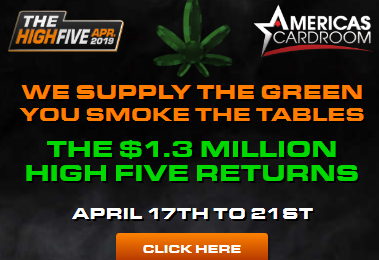 The freeroll payouts include 1st to 5th place finishers getting a $1000 FBWC qualifier ticket. Finishing in 6th to 30th place will win a $300 FBWC qualifier ticket. 31st to 530th place will get a $20 FBWC qualifier ticket and 531st to 10,530 will get a 25c FBWC qualifier ticket. The Friday Player list is up (with probable starting pitchers) and you can set your line up at any time up until first pitch at 7PM ET. If you have been thinking about checking out DraftKings, now is the perfect time to get yourself started on DraftKings. You can get a free entry to an additional cash paying fantasy contest absolutely free on DraftKings if join today…….